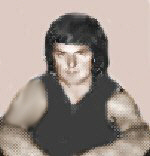 Peter Warburton, the son of Keith, was at Carlton over the 1971 and 1972 seasons after being recruited from Tatura. He wore the number 23 guernsey in 4 games for the Blues, kicking 1 goal. Warbuton headed to VFA club Port Melbourne for the 1973 season with team-mate Paul O'Brien that was being coached by Ex-Blue defender Ian Collins. Warburton transferred during the season to play under another Ex-Blue Barry Gill at rival VFA club Williamstown. Contributors to this page: Bombasheldon , pblue , molsey , tmd1 , WillowBlue and admin . Page last modified on Friday 31 of May, 2013 21:09:48 AEST by Bombasheldon.